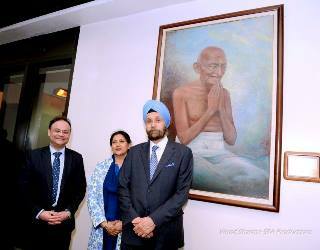 India’s Ambassador to the USA, Navtej Sarna, paid homage to the statue of Mahatma Gandhi at the Martin Luther King Jr. National Historic Site in Atlanta on February 13, 2017. 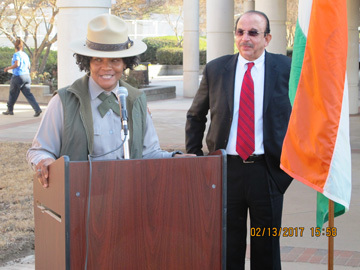 Ambassador Sarna had been in South Carolina, and on the request of Nagesh Singh, Consul General of India in Atlanta, he visited Atlanta on his return journey to Washington. The Gandhi Foundation of USA (GFUSA) organized an event for the visiting Ambassador and his wife Dr. Avina Sarna at the Gandhi statue. Dignitaries included Consul General Nagesh Singh, elected officials, officials from Park Services, community leaders, and consulate staff. Antony Thaliath, executive director of GFUSA, welcomed the gathering and spoke of the history of the installation of the Gandhi statue and the work of GFUSA. 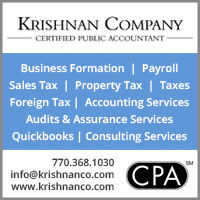 Raj Razdan, regional vice president of the National Federation of Indian American Associations (NFIA), introduced the ambassador and his wife. In his brief address, Sarna highlighted the relevance of both Mahatma Gandhi and Dr. Martin Luther King, Jr. “It is always a moving sight to come to Mahatma Gandhi.” He said he is associated with the Mahatma Gandhi statue installed on Massachusetts Avenue in Washington, D.C., and it is really a good feeling to see people come, sit, and meditate. 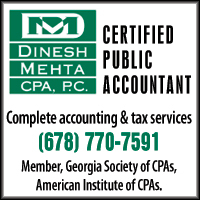 He said, “I am sure it is happening here in Atlanta. 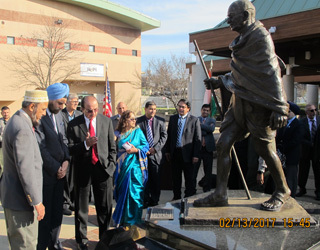 Any city would have to be proud to have a Mahatma Gandhi statue.” While congratulating the Gandhi Foundation of USA for their efforts in spreading the message of peace and nonviolence, the ambassador noted that Consul General Nagesh Singh is extremely committed to furthering the cause of Indian Americans in the region. The ambassador also assured the Gandhi Foundation of USA that the embassy and government will give fullest assistance in taking forward the plans of GFUSA for making Atlanta a “city of peace” with a three-point pillar. 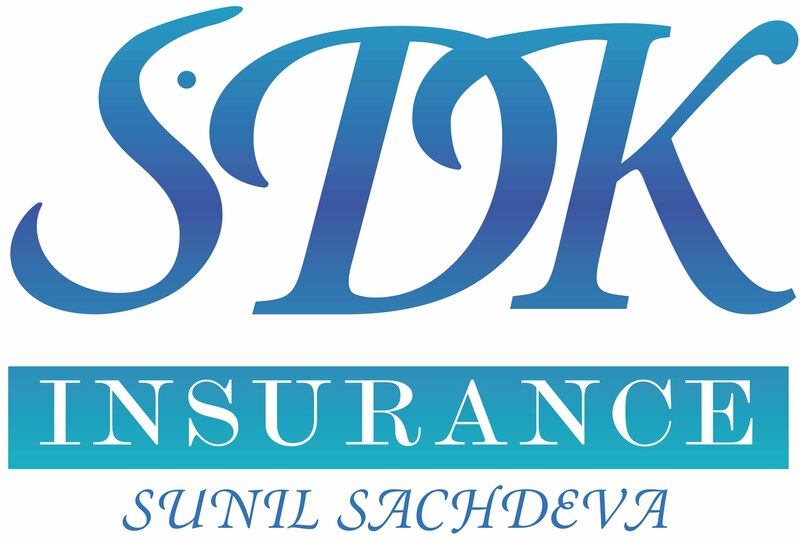 Hundreds of thousands of visitors come annually and pay homage to the statue of Mahatma Gandhi. Gandhi’s favorite bhajan “Raghupati Raghava Rajaram” was then sung by Hari and Prakash Gupta. 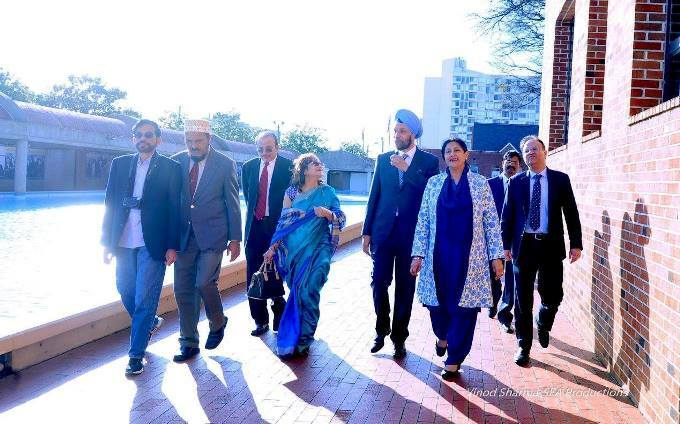 Ambassador Sarna and Dr. Avina Sarna walk to Freedom Hall with (L-R) Ravi Ponangi, Mohsin Bharmal, Antony Thaliath, Raz Rajdan, Vice Consul Timothy Jetty, and Consul General Nagesh Singh. After placing garlands and flower bouquets at the Gandhi statue, the gathering “Walked in Peace” to the King crypts, where the ambassador and his wife laid bouquets to the champions of Civil Rights, Dr. King and his wife Coretta Scott King. The ambassador also visited Freedom Hall, Dr. King’s Room, and the Gandhi Room, and saw various exhibits there. 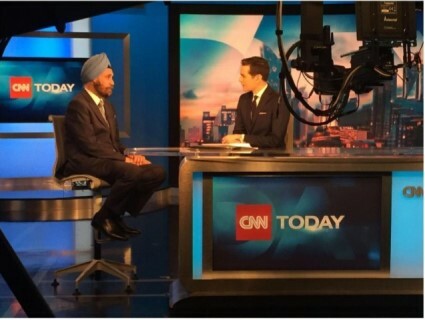 The Ambassador’s other engagements in Atlanta included an interview with CNN, a visit to the CDC, and a few meetings with industry and business leaders.